Brook Taylor was born on 18th August 1685 in Edmonton, England. His parents John Taylor and mother Olivia Tempest had very stable financial condition. Taylor was home tutored before starting his studies in St. John’s College, Cambridge. He acquired the degrees of LLB in 1709 and LLD in 1714. He was interested in Art and Music but his first love was mathematics. He portrayed exceptional abilities in mathematics by writing a very important paper even before his graduation. It was however published later in 1914 in the Philosophical Transactions of the Royal Society. It gave the explanation of the oscillation of a body. Taylor provided the solution to the ‘Kepler’s Law’ to Machin in 1912. Noticing Taylor’s extraordinary expertise in the subject, he was elected as a member of the Royal Society by Machin and Keill. In 1714 Brook Taylor became the secretary of the Royal Society. He remained in this position for the next four years after which he resigned from the demanding position mainly due to health reasons. While highly successful in his work, his personal life suffered from many problems. In 1921 he fell in love with Miss Brydges who was not from a very strong and wealthy family like himself so their marriage received strong criticism by Taylor’s father. The result was severed ties between father and son for the next few years. In 1923 his wife died in childbirth along with their first child. After receiving this strong blow Taylor went back to living with his father and their bond soon reformed. He married Sabetta Sawbridge in 1925. But Taylor’s father only lived for four more years and died in 1729. The tragedy did not end here and his second wife also died while giving birth to a daughter in 1730. The child did survive this time. The time that Taylor spent as the secretary of the Royal Society proved to be very fruitful to the world of mathematics. He wrote two very significant books ‘Methodus incrementorum directa et inversa’ and ‘Linear Perspective’ which were published in 1715. The second editions of these books came out in 1717 and 1719. Taylors’ paper on ‘Linear Perspective’ contained the most accurate principals of art as compared to his antecedents. ‘He also has thirteen published articles on various topics such as capillary action, thermometers and magnetism. He added a new branch in mathematics known as the ‘Calculus of Finite Differences’. He was the one to invent ‘Integration of Parts’ and also a series called the ‘Taylor’s Expansion’. The Taylor’s Theorem is based on the letter written by him to Machin in which he tells about the origination of this idea. His work named ‘Contemplatio Philosophica’ was published posthumously by his grandson Sir William Young in 1793. Many other works also came out like Phil. Trans., vols. xxvii. to xxxii which consisted of experiments done by Taylor on magnetism and capillary action. Taylor also gave several applications of calculus which are given in the ‘Methodus’. 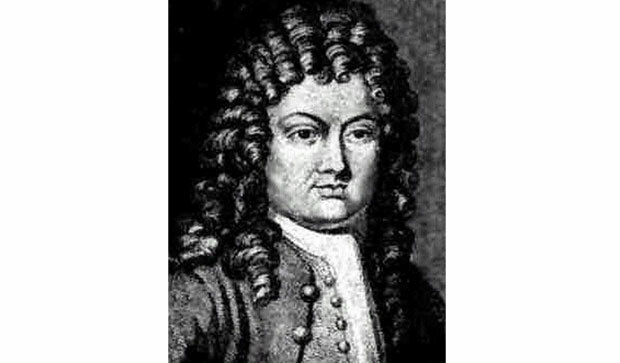 Brook Taylor was a great mathematician who died on 30th November 1731 having given a great deal of knowledge to the world of mathematics. He is buried in London in the churchyard in St. Anne’s, Soho.